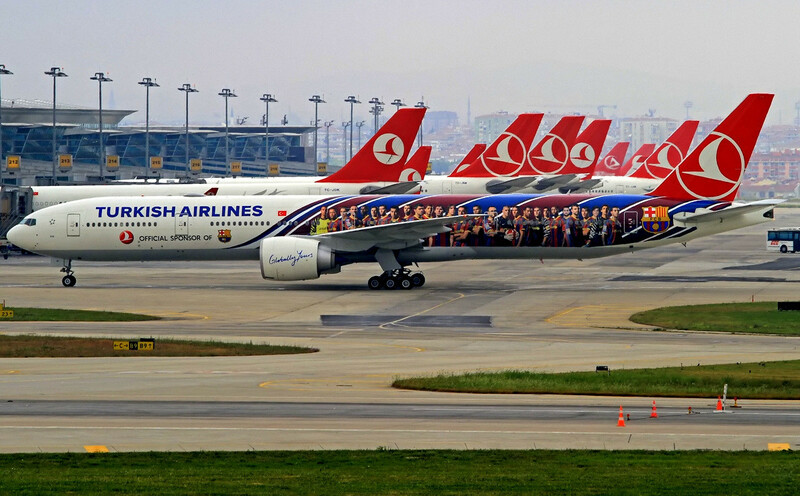 Istanbul Ataturk International Airport (IST) the busiest airport in Turkey. The Istanbul Airport was renamed Ataturk International Airport in honour of Mustafa Kemal Atatürk in 1980. 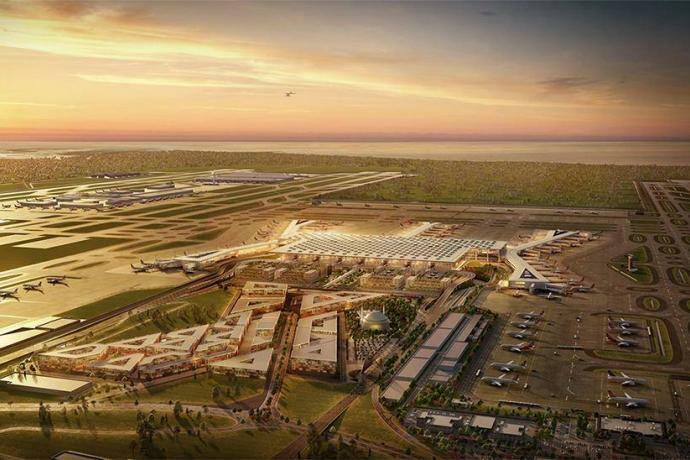 It served more than 50 million passengers in a year, making it the 13th busiest airport in the world. Istanbul Airport is very centrally located in Istanbul City. Within approximately 20 km distance to main attractions such as Sultanahmet or Taksim. If you did not arrange an airport pick up through your hotel, You will have to find transportation from the airport to your hotel. Some Boutiqe Hotels offer free transfer if you are staying more than 3 nights. From the Atatürk International Airport in Istanbul, you have several options regardless the location of your hotel. 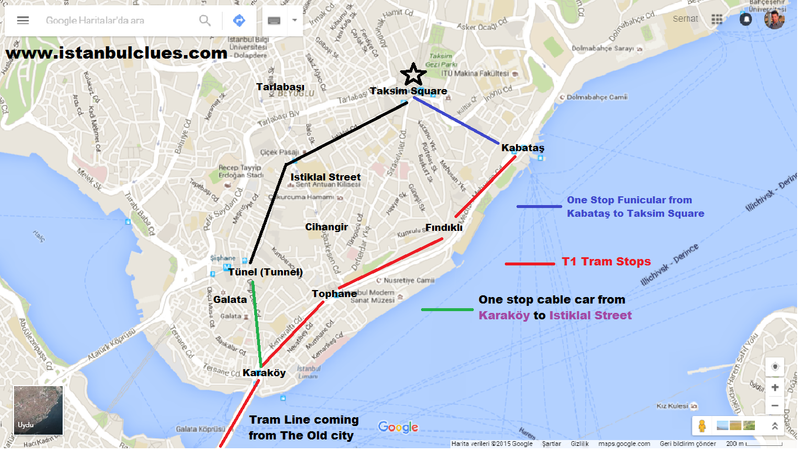 Hotels are mostly located in Taksim, Galata, Cihangir (New City), Sultanahmet, Sirkeci, Beyazit. If you don’t have Turkish liras on you, use one of the many ATMs in the airport to withdraw some cash money. None of the transportation options mentioned below will accept credit cards, foreign currencies or big Turkish lira notes. Make sure you have small banknotes like 10 or 20 TL in your hand. Lots of automated teller machines (ATMs, Cashpoints, etc.) are located outside the secure Customs area, after baggage claim. Exchange rates at the airport very poor. You will have to pay lots of comission for your money. You better withdraw only enough to get to your hotel. You will easily find several exhange offices in touristic area afterwards. Make sure that you write down or print out the exact address of your hotel, together with its telephone number. Istanbul is a massive city with an huge amount of boutique hotels. Even locals do not know where they are located exactly. So, if you need help, just hand over the print out street name or map. You can also have the taxi driver to call the hotel and ask for directions. Taking a taxi to your hotel is the most commonly used and often the most convenient option. If you are travelling with a party of four, it’s almost same price as Havatas airport shuttle service. Just walk out of the airport and you will see the official taxis nicely lined up. In about half an hour you can get to Beyazit, Sultanahmet, Sirkeci, Eminönü for about 45 TL, a ride to Taksim, Karaköy, Cihangir, or Galata will take around 10-15 minutes more and will cost around 55 TL. The easiest and safest way to travel from the airport is to get in one of these buses which you may find just in front of the international terminal. Tickets for these buses are quite cheap and they offer a large luggage space. 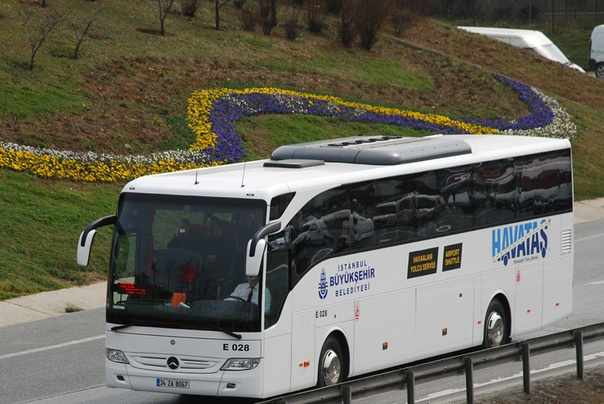 Havataş Airport Shuttles gives you the opportunity to travel to two destinations easily. You can also use public transportation to reach your hotel. Although this option is a bit cheaper, it might be rather adventurous. You will have to change vehicles a few times, you may find yourself struggling with your luggage in crowded metro/tram in the rush hour. How To Get Tickets And Passenger Cards? Keep in mind that every transfer I mention requires you to buy a new token (4 TL) from the token machines. (Annoying) It is much cheaper and practical to use Istanbul Card. The charge of Istanbul Card 2.15 TL per person and per line. There is even a discount if you use it in row within 2 hours. Charges 1.45 TL at second time, 1.15 TL at third time. You can benefit the discount only if you have Istanbul Kart. First hop on the underground metro M1a in the airport in the direction of Yenikapı. If your hotel is located in Beyazıt (Grand Bazaar), Çemberlitaş (Burnt Column), Sultanahmet (Blue Mosque), Sirkeci (Train Station), Eminönü (Spice Bazaar), Galata (Galata Tower), Karaköy (Tunnel connection to Istiklal Street), Tophane (Cihangir) get off in Zeytinburnu and hop onto the T1 tram in the direction of Kabataş. Get off at the nearest stop for your location. Map Number One: There are both options basically explained on this map 1) Havataş Shuttle to Yenikapi then Taxi or Tram to your hotel. 2) Metro + Tram connection to your hotel. Explained on below map. 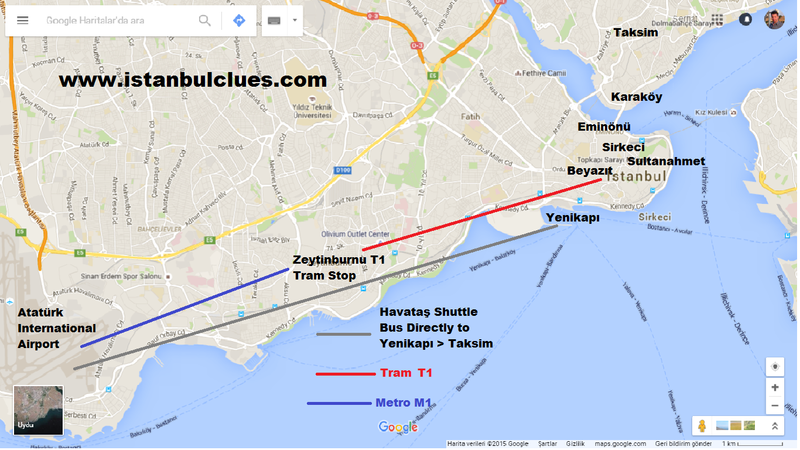 Map Number Two: You need to get the Metro from Ataturk Airport to Zeytinburnu, then switch to the Tram T1. Tram T1 direction is displayed as the red colour below map. Make sure that your plane is landing to Ataturk Airport (IST) not to Sabiha Gokcen Airport (SAW). Istanbul’s other airport is Sabiha Gokcen International Airport (SAW) located on the Asian side of the Istanbul. It is far inland Asia Side much further away from downtown comparing to Ataturk Airport.